Are you feeling lost in a sea of red and green this Holiday season? The Christmas season can be a difficult time for us Jewish people. Our children can feel alienated in school, and the ubiquitous Christmas music and trees can be overwhelming to anyone. This December, don’t feel like you can’t be festive just because you are Jewish! 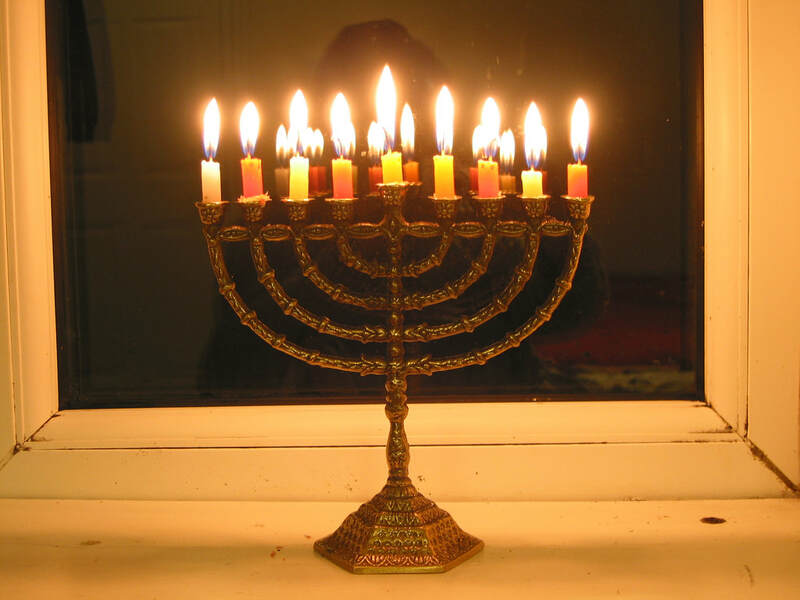 Let you and your chanukiyah (8 branched candelabra/menorah for Chanukah) shine bright this December by following these five easy tips to put your Judaism on display! Get yourself an ugly sweater of your own. Feeling left out of ugly sweater parties and other opportunities to dress up festively? Order a Hanukah-themed sweater and join the ranks of festive partygoers so you can proudly stand out from the crowd. Order your ugly Chanukah sweaters here! (Make sure and use our AmazonSmile link and support the ISJL! Put up your own holiday lights. Chanukah is the Festival of lights, so this year light up your Channukiah and your yard! String up some blue and white string lights and light up your house with holiday spirit of your own! If you’re looking for ideas, check out this amazing house for inspiration! Invite friends—of all backgrounds—to participate in Chanukah activities. Who doesn’t love delicious fried foods and the opportunity to gamble for chocolate? Invite your friends of all faiths and backgrounds to join you in Chanukah festivities! Throw a Chanukah party, bring some festive foods to an office or school gathering, or reach out to your friends throwing their own holiday parties! Virtually everyone loves learning about the holiday traditions of spinning the dreidel and lighting all the candles. Don’t be afraid to say “Happy Chanukah!” No matter where you are or who you are speaking with, genuine good intentions are nearly always recognized. This December, wish cashiers, friends, and even acquaintances a Happy Chanukah! It will be a refreshing departure from the norm, and people will appreciate the good wishes!